This is a photo of hydraulic mining in the Venezuelan jungle. The local Diamond miners were the first in this area. It is always a good idea to see what the local miners are doing and get an idea to what you are going to be up against. This was a particularly rich area in central Venezuela near where we were exploring and later set up a Diamond recovery plant. 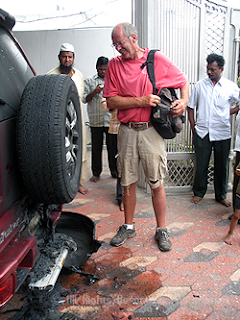 When I was in India 2007 Sam,my brother Terry and I stayed with one of the people that was running for political office and when we came down the stairs, our landlords jeep was firebombed. While it is alarming to say the least, events like this happen quite frequently in foreign lands. Bags of gold exist - are you willing to find them? Bags of gold do exist. I wish I could say I recovered this bag of gold but I did not , just wanted to share that there is still bags of gold to be recovered out there somewhere in the world!! Just coming up from another long dive suction dredging for Diamonds. The hard work of wrestling around a 10" suction hose gets you in amazing shape very quickly. 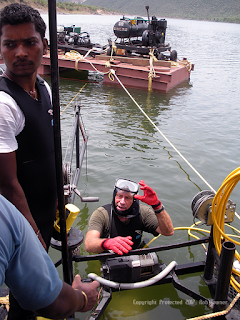 I love diving and the challenges it brings to keep the production coming. Working remote, what happens when your engine blows up? I blew up an engine on the dredge and we quickly found a Muslim mechanic and a hindi mechanic that worked in perfect scync to get me up and running again. Boy they worked like best friends!! I'll never forget them for helping me out of a jam!!! The unexpected acquaintances you meet when prospecting for gold. 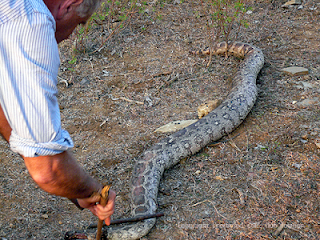 The villagers killed this big rock python really close to the spot where I was dredging with my team. 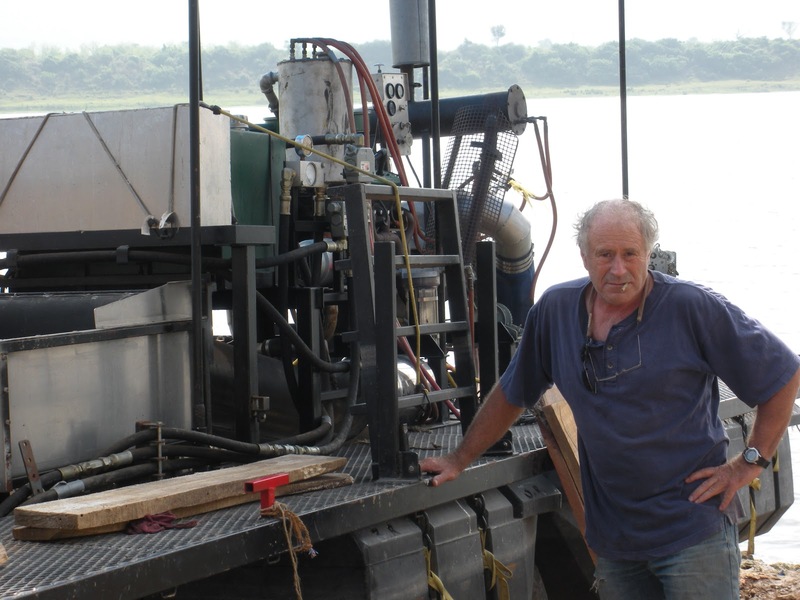 It took a couple of days fixing the dredge washing it down tightening bolts and whatever else I could fix to do to some stalling .... just to get my courage back up to dive in the murky waters of the Krishna River. With my big 5ft x 40' tromel, at my old *Bannack Montana project, we were getting 100 ounces a week for almost three months. A big sluice box and a gravel pump made it easy!! I had rebuilt the old trommel that was used in 1940's. 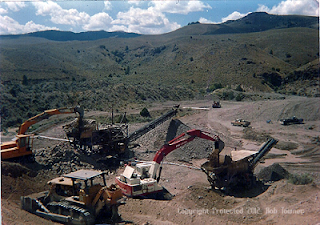 with the addition of a 8x6 Gallagher gravel pump and an additional 8ft x 25 foot sluicebox we averaged about 750 yards per day. As you can see, pumping it to a contained settling pond with a lot of tailings room, makes it much easier to keep the operation going without fine tailings building up. Less equipment, less manpower = a few more bucks at the end of the day. 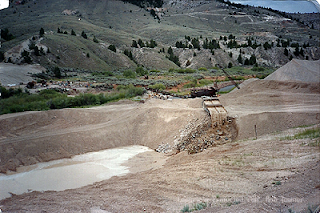 *Bon Accord (near Bannack Montana) in some really hungry ground. I had a spare 4ft x 30ft trommel and set up alongside my other big plant and the added production saved our butts again!!! My great friend and confidant Samuel Speerstra a true treasure hunter and prospector. Sam has the nose of a bloodhound, researching , tramping the hills and traveling the most remote trainyards to get to a new mine. He is always traveling the entire planet in search of treasure. 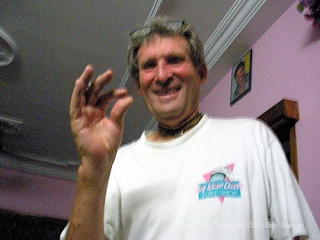 He is holding a tiny tiny Diamond we found one afternoon in India. He is always happy!! 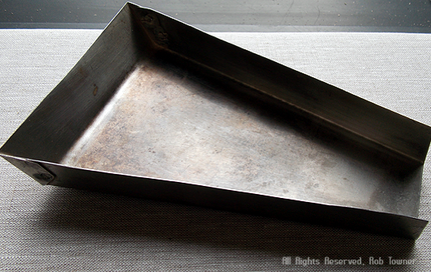 Don't forget about that diamond mining tool I mentioned. My ever present Christi, my Fiance. 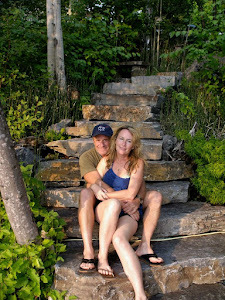 Always accompanies me on my mining adventure's and she is a very accomplished gold panner. I can always trust her results! Sapphire Mining: What in the heck is a surucas? The best tool you'll ever find. My mining buddy Dan Yanke and I out exploring for Sapphires in the mountains of Montana. We have had some extraordinary finds and I hope to be posting some pictures here real soon. The majority of sapphires I have located over the years, are usually associate with known deposits. My Venezuela diamond surucas are the most valuable and fastest tool to prospect for both diamonds and sapphires I have ever found. Yes, I will get a photo of that here too very soon. 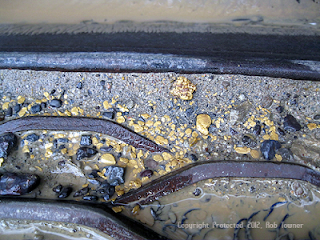 I have been doing this for decades - prospecting for gold. 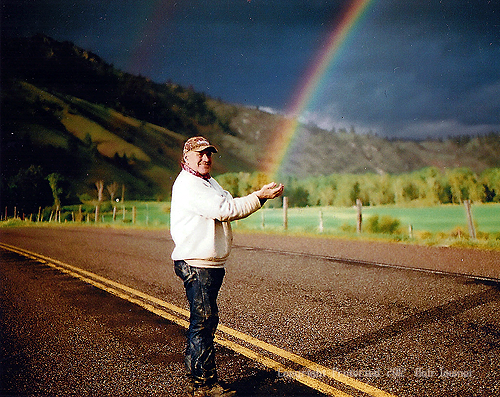 Believe me, the gold is always at the end of the rainbow if you work hard and study what the earth has to share. This gift has landed on me my whole life. Towner spent six weeks with his friend, Sam Speerstra, in the world’s second-most populous nation last winter, filming a Discovery Channel show called “Lost Treasure Hunters,” which is set to premier this Sunday night at 11 p.m. on the Animal Planet channel. 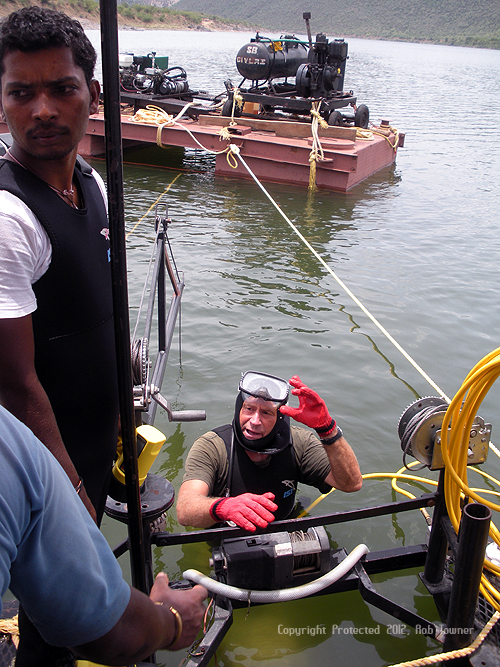 When he wasn’t dealing with deadly vipers and cobras or watching his Indian crew members sacrifice a goat to appease the angry river gods, Dave Mccracken and I were vacuuming diamonds off the bottom of the Krishna River, one of the longest rivers in central-southern India. The show is marketed as an action-packed documentary about a team of highly skilled extreme prospectors attempting to rediscover the long-lost source of the great diamonds of Golconda, India. “It was high adventure,” he said. 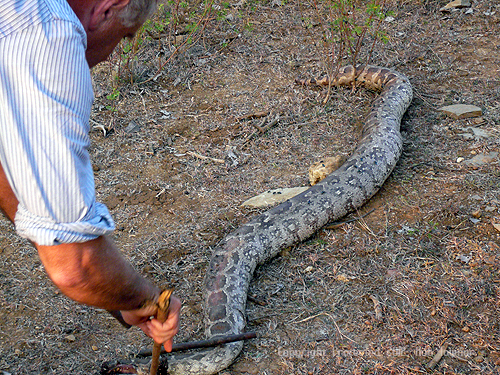 You can see it all this Sunday night at 11 p.m. on Animal Planet. 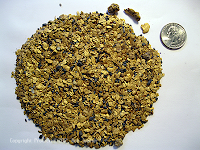 Prospecting for Gold: plenty of gold to be found, what type of enthusiast are you? There is plenty of gold to be found by any of the three types of gold prospectors I have identified. 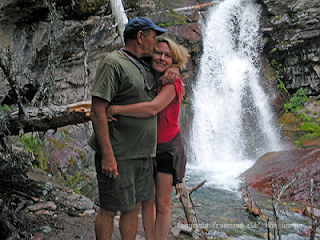 My goal is to help people discover the fun and enjoyment of prospecting for gold. 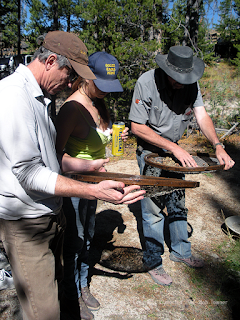 There are three distinct characteristics that separate gold prospectors: Time and money and experience..
One group is folks, including families, that go out on the weekends and pan for gold. You can get started with about twenty bucks in tools, suntan lotion, and a couple of mineral books. The locations you will find will be most likely old historical locations. 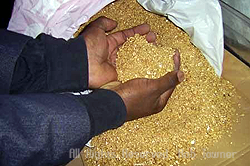 Ownership of the land in question ,is always number one on the search for gold bearing gravel. Do your homework as there are many publications that will give you a good start. I will soon have some reference material to get you started. provided you get yourself into some gold bearing ground. The other group of prospectors is comprised of a more sophisticated endeavor. Their equipment will include a dredge and/or a wash plant. Working capital and budgets are paramount here. 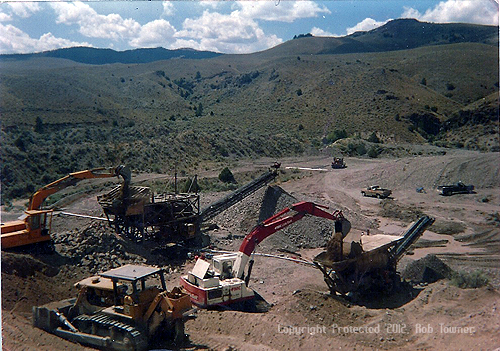 Very soon I will be making available an online course to learn the methods and techniques for successful gold mining. I will post the material on this blog and make the announcement in the coming weeks. 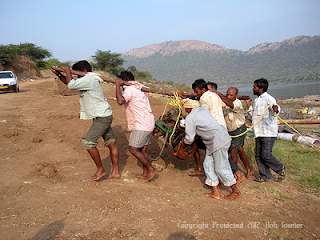 A team of highly skilled extreme prospectors attempt to rediscover the long lost source of the great diamonds of Golconda, India. Using a mix of ancient maps and modern geology, the team races to find untold riches in diamonds before the monsoons arrive. Dredging is important mining technique to insure successful mining. I am getting ready to launch our suction dredge on the Krishna river in India. 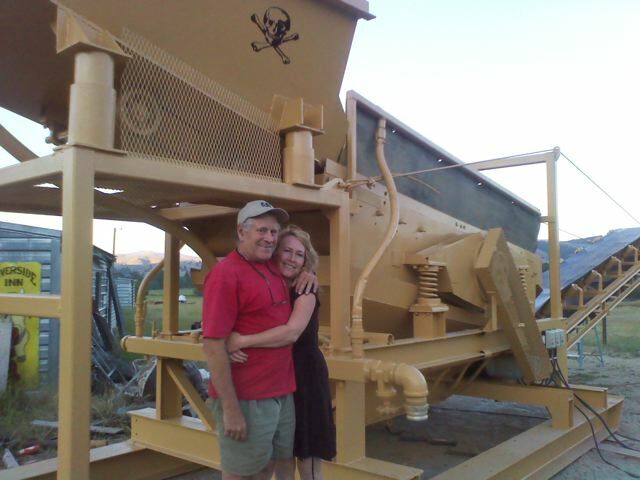 It is a 10 inch dredge with a vibrating screen This is a great design by Dave Mccracken. 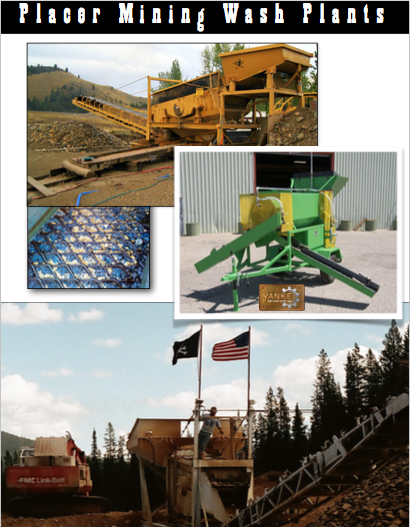 This recovery system was a very valuable asset to our prospecting team. Reliable and efficient. 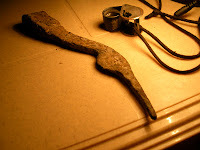 Everytime I look at this ancient tool Sam and I found. I wonder if this was the tool that some ancient miner used and unearthed from some obscure crack on the riverbed gravels, the most famous Diamond in the world. 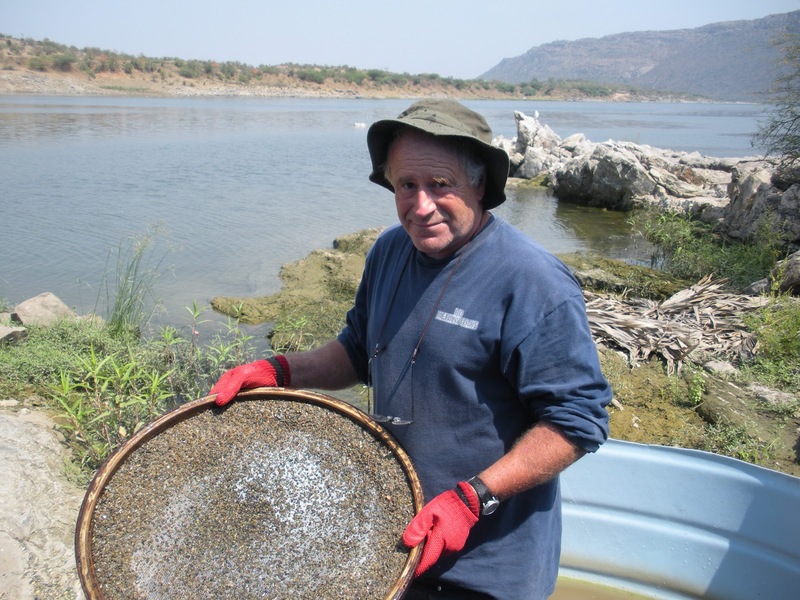 I am testing for Diamonds on the Krishna River in India. Surucas are the mainstay of my prospecting technics for Diamonds. The suruca Diamond screens give you a fast precise evaluation of the gravels.